A while back I received this Flowmaster Pro Series muffler as a promotional item from Autoanything.com. I have been sitting on the muffler for quite some time when after an alignment shop somehow managed to damage my exhaust, I had the perfect excuse to install it. I can now finally report back on this interesting muffler design. Installed on my 3rd gen Firebird. It fits in the factory location designed for a oval muffler. As I mentioned before, I Installed this muffler on my 1989 Firebird perpetual project car. The car has a Y-pipe design that goes from dual 2.5” pipes to a single 3” with no cats. Because of this, the car only has one muffler. 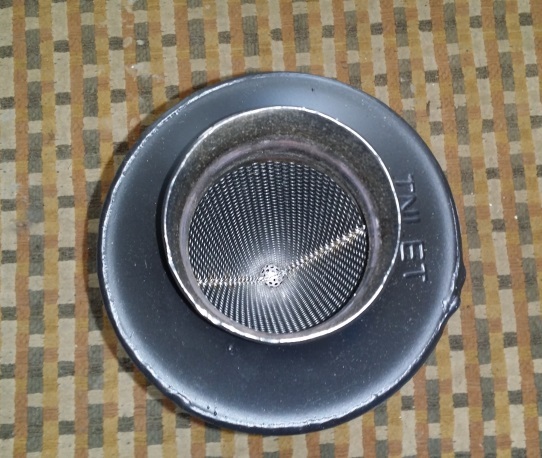 For years, I have been running a Borla muffler that had a single inlet with dual outlets. That muffler was very quiet overall though it did produce a very deep tone that would penetrate buildings for quite a distance. You knew when the car was in the neighborhood, but it was fairly subtle. Over the years, that tone got louder as I suspect the packing material in the muffler was wearing out to the point where it was starting to drone mildly. This muffler was installed in 1998 so it had a pretty long run. Its important to note that catalytic converters have a huge effect on muffling. Installing a high-flow cat or removing the cat completely can have a dramatic effect on how loud an exhaust system is. With this in mind, I can report that the Flowmaster Pro Series muffler, of which I have the longer of the two sizes they have in my 3” pipe size (PN 13016100), is vastly louder than the Borla it replaced. This muffler is considered a street muffler and I have seen some videos of the muffler installed on new mustangs as a part of a cat-back kit. In that application, where two of these are used with cats, it’s probably suitable for street use. But on my car, with no cats and a single muffler, I would not consider this appropriate for everyday use. Before, my neighbors would know my car is running, but now its going to be down right annoying to run the engine off hours. I’m not going to be making friends in my neighborhood. This muffler is much more dynamic than my old Borla. While the Borla seemed to hit a plateau of sound volume at a certain point, this new muffler gets progressively louder. While cursing down highway, it’s actually quite subdued and not a whole lot louder than the Borla, but its still pretty loud. But as soon as I hit it just a little, it really opens up. I don’t know if I can accurately comment on how loud the interior is on my car. My car, being setup for racing, has no interior so everything is loud. But its definitely louder inside than the old muffler and I am getting some drone. I think this is all ok for my car, but again, this might not be what you want on your daily. While this muffler is overall much louder, the sound is very directional which makes me think this muffler would be great for meeting track sound requirements. The afterfires my car produces (which people mistakenly call ‘Backfires’) are much more pronounced with this muffler, where before, they were muffled to the point of almost not being noticeable. Its hard to tell how loud it is from the video, mic’s never do justice. But its loud! If you notice, in the background is a major Chicagoland highway, take that into consideration. I was hoping that I would be able to see a difference in performance with this muffler by seeing if there was any change in the fuel requirements at high rpm, but I really didn’t see anything. The design of this muffler forces all of the exhaust to flow through an hourglass shaped screen as seen below, and you would think that changing the shape and flow of the exhaust like this would be a real performance killer. If it did, I would have seen my air/fuel ratios read rich at high RPM’s where the exhaust flow really picks up. My A/F ratios are logged in my tuning computer which would have made this clear. That said, I would like to have back-to-back runs on a dyno to confirm. 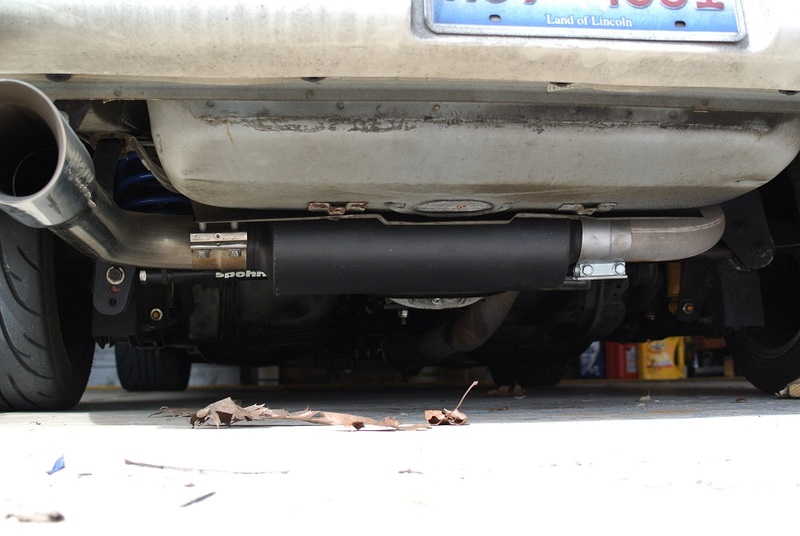 I think this is a really great muffler and can work in many different environments and cars. It has a very smooth and tuned sound and it would be good for a street car with cats/resonator or a race car with only this muffler. It is a very expensive muffler at close to $200, though, it is made from stainless (which for some reason they paint black); but even so, its still expensive considering what else is on the market. 1 Comment to "Flowmaster Pro Series Muffler Review"
I like the sound. Very toned, not very aggressive, but you can feel it. It would be great for street cars but I agree with you that the price is expensive compared to other mufflers with almost the same quality. Great review! « The best deal in track-day tires?